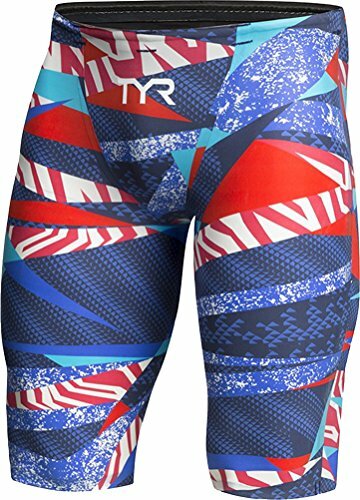 TYR avictor Prelude Men's Short Red White Blue Size 23 | What Should I Say? Advanced engineering allows fully bonded seams to conform and stretch with the swimmer's body, resulting in a precisely fitted, ultra-compressive suit that won't restrict natural movement. Leading-edge technology causes water to surround the fabric, rather than saturate it. The hydrospheric effect optimizes the swimmer's position in the water, thus reducing drag and maximizing speed and efficiency.